After giving birth to twins Rumi Carter and Sir Carter last year, Beyonce wrote she "approached things very differently." Make no mistake: Beyonce is always in control of her own narrative. The 36-year-old superstar was given unprecedented control over Vogue's September issue--with the editor in chief Anna Wintour's blessing, of course. From selecting 23-year-old Tyler Mitchell to be the first black man to shoot the magazine's cover, to writing personal essays detailing her personal and professional failures and triumphs, she left no stone unturned. In one essay about learning to love the skin she's in, Beyonce wrote, "After the birth of my first child [Blue Ivy Carter], I believed in the things society said about how my body should look. I put pressure on myself to lose all the baby weight in three months and scheduled a small tour to assure I would do it. Looking back, that was crazy." So, after giving birth to twins Rumi Carter and Sir Carter last year, Beyonce wrote she "approached things very differently." For one thing, "I was 218 pounds the day I gave birth to Rumi and Sir. I was swollen from toxemia and had been on bed rest for over a month. My health and my babies' health were in danger, so I had an emergency C-section. We spent many weeks in the NICU. My husband [Jay-Z] was a soldier and such a strong support system for me. I am proud to have been a witness to his strength and evolution as a man, a best friend and a father." 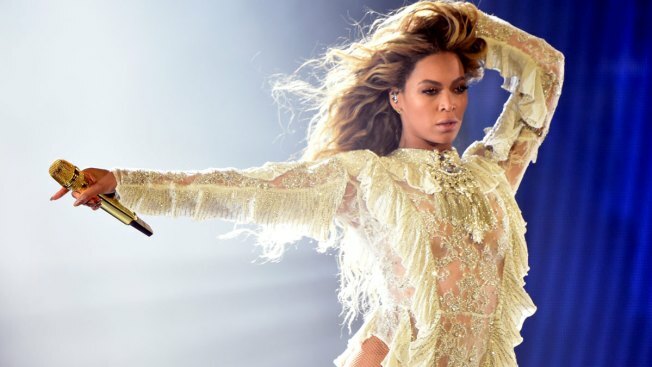 Now, Beyonce isn't focused on getting rid of her "little mommy pouch." In another essay, the singer reflected on her ancestry and how it impacted her relationships. "I come from a lineage of broken male-female relationships, abuse of power and mistrust. Only when I saw that clearly was I able to resolve those conflicts in my own relationship," Beyonce wrote. "Connecting to the past and knowing our history makes us both bruised and beautiful." Without getting specific, she added, "There are many shades on every journey. Nothing is black or white. I've been through hell and back, and I'm grateful for every scar. I have experienced betrayals and heartbreaks in many forms. I have had disappointments in business partnerships as well as personal ones, and they all left me feeling neglected, lost and vulnerable, she wrote. "Through it all I have learned to laugh and cry and grow. I look at the woman I was in my 20s and I see a young lady growing into confidence but intent on pleasing everyone around her. I now feel so much more beautiful, so much sexier, so much more interesting. And so much more powerful." For more from Beyonce, pick up Vogue's September 2018 issue, available for preorder on Amazon Aug. 6, and on newsstands in L.A./New York City Aug. 14, and nationwide Aug. 21.